The American Civil Liberties Union (ACLU) is suing the state of Kansas for setting up a two-tiered system of voter registration, in which voters who register using a standard federal form cannot vote in state elections without showing proof of citizenship. The system puts voters into two classes depending on what form they used to register. Those who used a federal form can vote for president, but can’t vote for governor or the state legislature without first proving their citizenship status. According to the ACLU, The Supreme Court ruled this summer that states could not add additional requirements to federal voter registration, as the federal form was deemed sufficient. 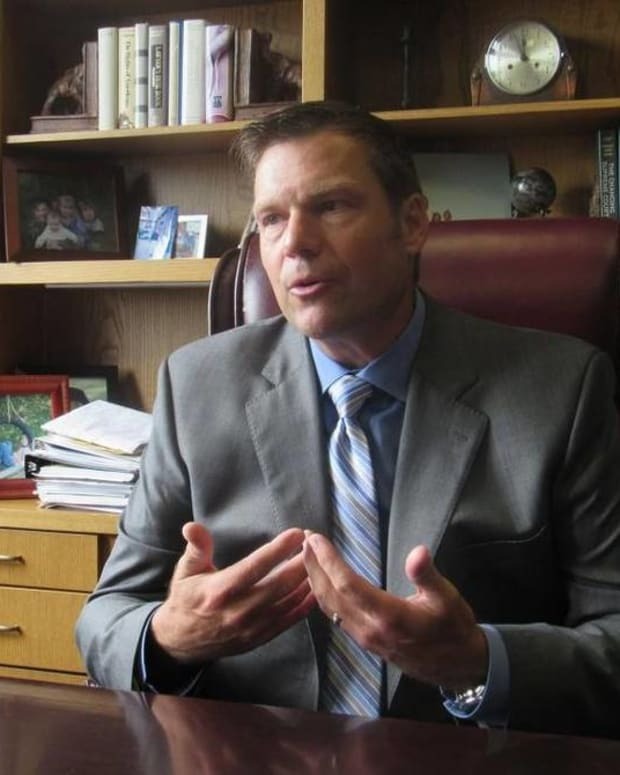 Kansas Secretary of State Kris Kobach has therefore imposed a state law that requires those who registered using the federal form show proof of citizenship, in an anti-fraud voting measure. “The people of Kansas deserve better, which means ending these obstructionist, unconstitutional practices once and for all,” Doug Bonney, legal director of the ACLU of Kansas, said in a statement. The Kansas City Star reported that the ACLU filed the lawsuit on behalf of Equality Kansas, the state’s leading gay rights group, and two prospective voters who were denied a vote in state elections despite having registered via the federal form. The suit likens Kobach’s proof-of-citizenship law to the registration system adopted in Mississippi in 1890 to prevent black citizens from voting. “Dual registration systems for voting erect unnecessary bureaucratic hurdles to full participation, and have a long and ignominious history in the United States,” the lawsuit said. “The irony here is that the ACLU is suing Kansas to stop something that I, too, am trying to prevent, which is a two-tier system,” Kansas Secretary of State Kris Kobach said in an interview with USA Today. Kobach said that the 30 percent of voters who have submitted first-time registration since Jan. 1 and are ineligible for state elections need only present proof of citizenship, including by text, email or fax, to become eligible. The state of Arizona has instituted a similar dual-registration process that requires proof of citizenship.